Sundance Institute announced today the films selected for its Creative Distribution Fellowship, a new initiative to support filmmaking teams seeking a more entrepreneurial approach to the release of their work. Chosen to receive support from the Fellowship are two acclaimed works from the 2017 Sundance Film Festival: Columbus, from director and screenwriter Kogonada, and Unrest, a documentary directed by Jennifer Brea. The Creative Distribution Fellowship, inspired by Sundance Institute’s long-standing Labs, will provide Columbus and Unrest with tools, resources and exclusive distribution deals in an immersive and nurturing environment. 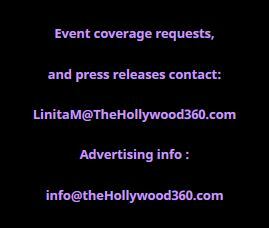 Each film will receive grants to fund marketing and distribution expenses. The Institute is working closely with the film teams to devise and execute tactics that will allow them to connect with their audiences in new and innovative ways. The filmmakers will serve as their own distributors, working with a network of professional vendors and digital retailers, with all theatrical and digital revenue flowing back to them. As a core part of the Fellowship, the producers of Columbus and Unrest are committed to sharing lessons learned from their creative distribution. These lessons will create “best practices” to help guide future independent filmmakers. The Institute has launched a Kickstarter campaign to raise funds and build audiences for Columbus and Unrest, which is open through Thursday, June 1. Columbus stars John Cho, Haley Lu Richardson, Parker Posey, Rory Culkin and Michelle Forbes and world premiered in the NEXT section at the 2017 Sundance Film Festival. In the film, Casey (Richardson) lives with her mother in a little-known Midwestern town haunted by the promise of modernism. Jin (Cho), a visitor from the other side of the world, attends to his dying father. Burdened by the future, they find respite in one another and the architecture that surrounds them. Vanity Fair wrote that Columbus “is a clever and compelling exploration into how physical structures can come to represent emotional landmarks in our personal lives, and the drive we have to share them with others.” Columbus will be released, starting theatrically, in August. Unrest chronicles director and Harvard PhD student Jennifer Brea, who was struck down at 28 by a fever that left her bedridden. Doctors told her it’s “all in your head.” Determined to live, she sets out on a virtual journey to document her story—and four other families’ stories—fighting a disease medicine forgot. The film will have a theatrical release prior to airing as part of PBS’s ‘Independent Lens’ series in 2018. The Creative Distribution Fellowship is part of Sundance Institute’s Creative Producing Program. Founded in 2011, the Program has empowered filmmakers navigating the changing business of independent film with online resources, live workshops and a network of allied organizations. Films it has supported include Upstream Color (Director: Shane Carruth), BURN (Directors: Brenna Sanchez and Tom Putnam), Cronies (Director: Michael Larnell), Western (Directors: Bill Ross and Turner Ross), First Girl I Loved (Director: Kerem Sanga), NUTS! (Director: Penny Lane) and HITS (Director: David Cross). The Initiative is supported by Cinereach, Kickstarter, National Endowment for the Arts, the John S. and James L. Knight Foundation, and Arcus Foundation. Latham and Watkins generously provided pro bono legal services for the program. Founded in 1981 by Robert Redford, Sundance Institute is a nonprofit organization that provides and preserves the space for artists in film, theatre, and new media to create and thrive. The Institute’s signature Labs, granting, and mentorship programs, dedicated to developing new work, take place throughout the year in the U.S. and internationally. The Sundance Film Festival and other public programs connect audiences to artists in igniting new ideas, discovering original voices, and building a community dedicated to independent storytelling. Sundance Institute has supported such projects as Boyhood, Whiplash, Manchester By the Sea, Brooklyn, Little Miss Sunshine, Life, Animated, Sonita, 20 Feet From Stardom, Beasts of the Southern Wild, Fruitvale Station, Sin Nombre, Spring Awakening, A Gentleman’s Guide to Love and Murder and Fun Home. Join Sundance Institute on Facebook, Instagram, Twitter and YouTube.